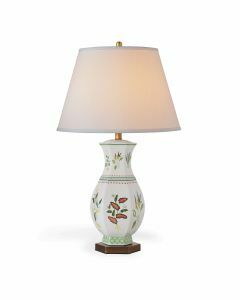 We love the whimsical, charming look of the Crewel Summer Lamp. 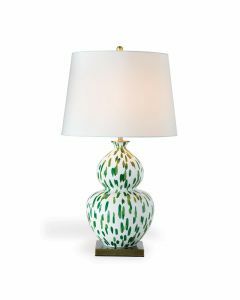 It measures 24" x 16"; the off white polyester round hardback shade measures 15" x 16" x 10". Click on images for greater detail.